Are you wondering how to put your favorite WebM videos on your iPhone, PSP and many other portable media player so that you can enjoy the WebM videos at anywhere and anytime as you like? Any Video Converter would be you best solution. 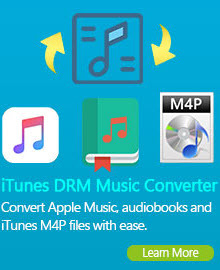 Any Video Converter can perfectly convert your favorite WebM files for a wide range of portable media players, including the iPad, iPhone, iPod, Sansa, Sony Walkman, Creative Zen, Apple TV, Nokia, PSP, Zune, PS3, Pocket PC, Windows Mobiles, etc. In addition, Any Video Converter not only support WebM as input format, but also as output format. You can convert almost any video format( including avi, mp4, wmv, 3gp, mkv, mov, rmvb and so on) into WebM video. What's more, Any Video converter is not only a powerful WebM video converter but also an incredible WebM video player and editor. It can do the trimming of any clip of WebM video, crop WebM video to remove black bars on the movie, flip and rotate WebM video into any side view as you like, or set movie video brightness/contrast/saturation, or choose to apply special video effects to your video files. Moreover, the WebM video converter allows to set video output settings including resolution, frame rate, codec, bit rate, sample rate, channel, etc. Wanna rip DVD to WebM format? 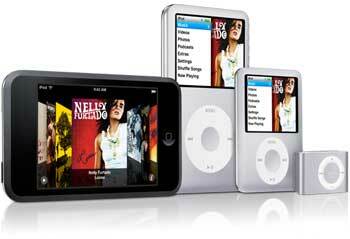 You need to get Any DVD Converter to convert DVD to WebM! With this versatile WebM Video Converter, you can not only convert WebM videos to various portable video and audio players, but also able to convert almost all popular video formats to WebM files. Apart from its powerful video conversion feature, you can customize various settings such as video size, sample rate, frame rate, etc. to get best WebM video quality. WebM video converter can help you to easily convert WebM to AVI, MP4, WMV, MPG, FLV, SWF, 3GP, DVD for your iPod, iPad, iPhone, PSP, BlackBerry,Windows Mobile, Tablet PCs, etc with fast converting and encoding speed and outstanding output audio-video quality. User-friendly interface and simple operation are all integrated. 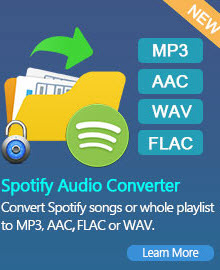 WebM Video Converter also allows you to extract audio from WebM video in MP3, AAC, M4A, WMA, WAV, OGG format for only enjoying the audio track. WebM video converter will maintain the original quality by allowing you to adjust video resolution, frame rate, bitrate and audio channel, sample rate, bitrate. In contrary, WebM video converter also supports converting various video formats to WebM. The key input formats supported by WebM video converter: 3g2, 3gp, 3gpp, 3gp2, amv, asf, avi, avs, dat, divx, dv, dvr-ms, f4v, flv, m1v, m2p, m2t, m2ts, m2v, m4v, mkv, mod, mov, mp4, mpe, mpeg, mpeg2, mpeg4, mpg, mpv, mts, nsv, ogg, ogm, ogv, qt, rm, rmvb, tod, trp, tp, ts, vob, vro, wmv. Downloading and converting YouTube video to WebM is also available. Just with a few clicks and several seconds, WebM video converter helps you to save the online YouTube video in WebM. WebM video converter offers you another characteristic: burn WebM videos to CD/DVD with DVD Menu and create ISO/DVD Folder. This WebM video converter could burn your favorite WebM video clips or any other video formats to DVD so that you can play it on home DVD player sharing with your friends and family members. With this WebM to DVD burner, you will be prompted to choose DVD menu when the program finishes WebM to DVD conversion process. So just with a few clicks you can easily and quickly burn your desired WebM videos to a playable DVD.